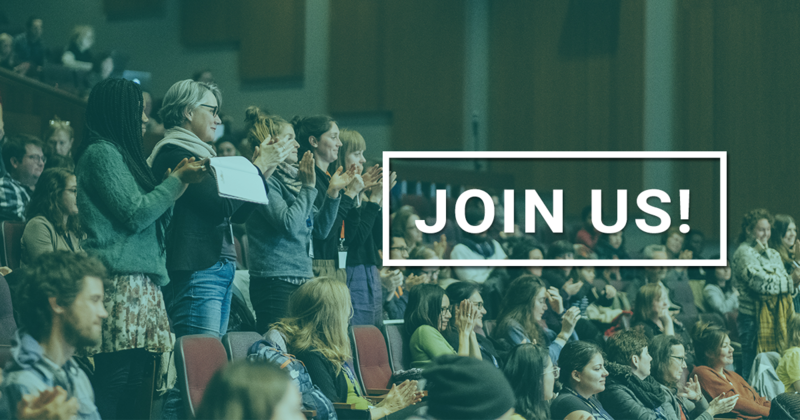 Food Secure Canada invites you to join us at the table for the 2016 World Social Forum in Montreal. 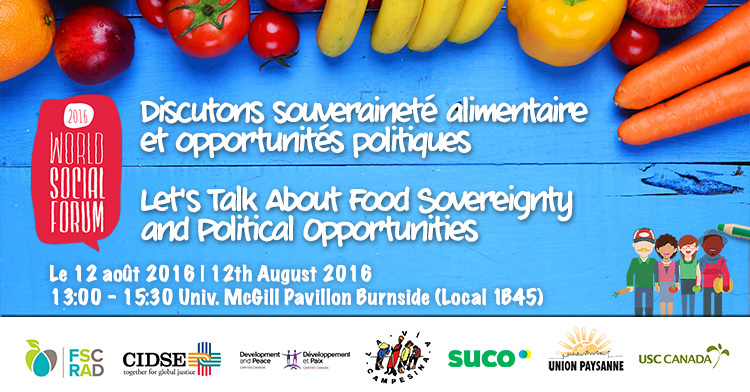 As a pan-Canadian alliance of organizations and individuals working together to advance food security and sovereignty, we invite the public and experts to gather for a grand banquet of ideas at World Social Forum 2016 on 12th August 2016. We all have a role to play in the way we consume and produce our food. Whether you are a consumer at the end of the chain or you cultivate the resources that sustain us, building healthier, more just and sustainable food systems begins with sharing our visions. Food sovereignty is an internationally recognized principle, wherein food constitutes a fundamental pillar of the health and vitality of individuals, communities, economies, and ecosystems. Together, we will define the pillars of food sovereignty, along with speakers invited for the occasion. Participants will form discussion groups around themes in which they are interested. Throughout these discussions, we will identify policy solutions to promote food sovereignty. Food Secure Canada - Executive Director. Greenpeace International - Senior Campaigner on Ecological Agriculture‎. CIDSE - Policy and Advocacy Officer (Food, Agriculture and Sustainable Trade). Institut de recherche et de promotion des alternatives de développement en Afrique (IRPAD/Afrique) - Executive Director. Ensuring that food is eaten as close as possible to where it is produced (domestic/regional purchasing policies for institutions and large food retailers, community-supported agriculture, local farmers markets, etc.). Supporting food providers in a widespread shift to ecological production in both urban and rural settings (organic agriculture, community-managed fisheries, indigenous food systems, etc. ), including policies for the entry of new farmers into agriculture. A People’s Food Policy For Canada, FSC’s policy discussion paper, offers a detailed report of what food sovereignty could mean for Canada. It took nearly three years and 3,500 people to produce. The first six pillars were developed at the International Forum for Food Sovereignty in Nyéléni, Mali, in 2007. The seventh pillar – Food is Sacred - was added by members of the Indigenous Circle during the People’s Food Policy process.